The “Youth and Lifelong Learning Foundation” prides on its long and rich history, originating from the National Youth Foundation (founded in 1947). Its current name and state came about from the merging of the Institute for Continuing Adult Education and the Institute for Youth. It is an entity governed by private law operating in the wider public sector, which is independent in financial and operational terms. It is a non-profit, public benefit institution, which is supervised by the Ministry of Education, Research and Religious Affairs but also directly related to it as a provider and as contractor of the projects and programmes the Ministry assigns to the Foundation. The Youth and Lifelong Learning Foundation” is administered by a 7-member Administrative Board. It includes, among others, university professors and executives with long professional and teaching experience in adult education, lifelong learning and youth. They are highly qualified professionals specialised in the fields of the Foundation’s competence and in particular in educational research, planning, implementation and assessment of European programmes for adults, young and vulnerable social groups. ii) to ensure youth empowerment and in particular to provide support to young people throughout their educational and professional development, while also supporting and promoting their mobility and stimulating innovation. manage all issues regarding student care services, catering and accommodation facilities (educational welfare). To implement its actions and projects associated with its activities, the Youth and Lifelong Learning Foundation plans, prepares studies, carries out research and develops the relevant supporting material. What makes the Youth and Lifelong Learning Foundation unique? Τhe Youth and Lifelong Learning Foundation has acquired high level of capacity and experience in implementing programmes and has a long and successful track record of managing, organising and coordinating large-scale programmes based on comprehensive and effective processes and procedures. 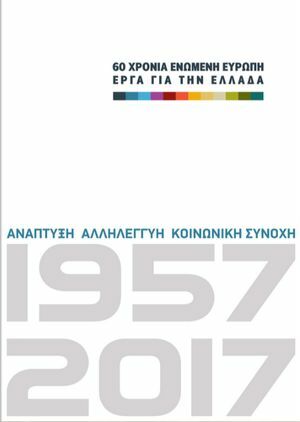 In addition to the above, as it has developed over the years the Youth and Lifelong Learning Foundation has crafted a unique profile for itself and has carved out an important mission that goes beyond the scope of activities of other institutions in Greece. the socially vulnerable groups (immigrants and refugees, released prisoners, former drug addicts, etc.). iii) the capacity to cater for adults’ and young people’ needs all over Greece and the important network of executives and associates it has, at central, regional and local level. Its special mission has also taken on a new dimension in the current socioeconomic environment due to the new complex challenges we face, while its social utility is the ever-growing, unique role in ensuring social cohesion and development. The Youth and Lifelong Learning Foundation’s fields of activity and responsibility include a wide range of activities for young people and all citizens in general. A number of educational, cultural and social activities have been developed by running several programmes co-financed by the European Social Fund, national funds, the European Commission, and the budget of Youth and Lifelong Learning Foundation. Through its programmes, the Foundation encourages a wide number of people and institutions (such as schools and universities, local institutions, sports unions, municipalities, NGOs, various organisations and senior citizens) to participate in the activities offered. The persons benefiting directly and indirectly from the Foundation’s wide range of activities fall into many social categories (graduates, students, pupils, trainers, parents, educators, victims of domestic violence, refugees/immigrants, adult trainees, salaried employees. On an annual basis, they number more than 300,000 persons (2014-2015). The various activities of the Youth and Lifelong Learning Foundation are implemented through an extensive network of human resources including, in addition to the foundation’s permanent personnel (97 members), direct associates for major projects and programmes (89), associates through external support companies (69) and overall a large number of associates and employees at a regional level involved in the implementation of the Foundation's core activities (over 400). In addition it has a direct line of communication and cooperation with the majority of Greek municipalities and a strong interactive network with local communities across the country, as well as with other institutions, bodies, organisations and NGOs. Therefore, the Foundation has unique comparative advantages when it comes to providing people (the general population) with lifelong learning and training opportunities, as well as supporting young people and preparing them to succeed in the socio-economic environment. The Foundation gets its resources from public financing (annual regular state budget and Public Investments Programme), European Project financing and partial development of its assets, to the extent permissible by the welfare and non-profit nature of the Foundation.